Chances are you’ve gotten bored on your PC before and wanted to kill time playing games. It’s OK, we’ve all been there… some more than others. But anyway, you just want to play a good computer game that isn’t Solitaire and you really don’t have the cash to shell out for a brand new game off of Steam. Then again, you don’t want to play one of the countless terrible Flash games that litter the internet and clog out the good ones. 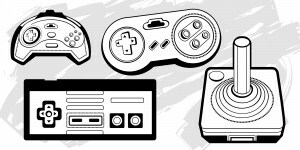 So what’s a discerning yet cheap gamer to do? Luckily for you, we put together this list of some of the best PC games that you can enjoy for the enormous financial burden of zero dollars. These games aren’t just crappy browser games, these are some truly fun titles that can stand proudly next to commercial games. Some of them require some major downloads, but most will run on even an average computer. They’re divided by the relative amount of computing horsepower necessary to run them. These games are the absolute bare minimum in system requirements. If your computer can’t handle these freeware games, you may be in serious trouble. No, really. These are the easy games to run. Not that they’re bad, they’re just not too demanding in graphics, one of the biggest hurdles to running any game. I shouldn’t even have to explain this one. By now probably everyone has heard of the mobile phenomenon that is Angry Birds. It’s an oddly addictive physics puzzler about launching birds at poorly built structures and knocking them down. The concept is bizarre, but as the levels progress the game becomes more and more fun. If you don’t have a smartphone or want to get your feet wet before buying Angry Birds on iPhone, this is a good way to try it out. If you have Google Chrome, Angry Birds installs right there in your browser. This is… this game is a weird one. 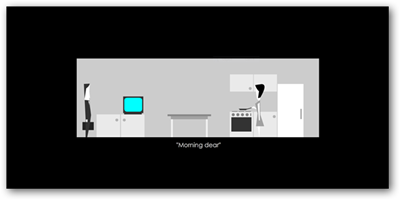 EDTSD is the existentialist version of a video game. Every day you wake up as a common corporate worker. You dress, greet your wife, eat breakfast, suffer through traffic and work, and then go home. The game doesn’t change. Every single day is the same, without exception. Eventually, though, you start to wonder. What if I don’t get dressed? What if I disobey my boss? What if I don’t go to my cubicle? That’s when the game really starts, and when things start changing. You’re better off experiencing it yourself in all its unexplained glory. Like other existentialist works, don’t expect much from the ending. Playable in Flash form over at the developer’s website. So your PC can boot up in under ten minutes. That’s good, it means you’re ready for some of the bigger games. These won’t require a good graphics card or anything, you just have to have a working PC with some spare room for gaming. A high-speed internet connection is pretty much an essential for these games too. If you ever wondered what Halo would have been like as a side-scrolling shooter, Halo Zero is the answer to that question. Even if you didn’t ask it. It’s a classic Contra-style 2D shooter with all the weapons and enemies Halo fans know and love. It’s pretty cool to see the Halo universe rendered in classic pixelated graphics. Be sure to spend some quality time in the options menu before starting, though. The default controls are god awful and you have to change the language to English. Still, if you’re looking for a challenging shooter, Halo Zero’s got you covered. It’s free to download in its finished form. 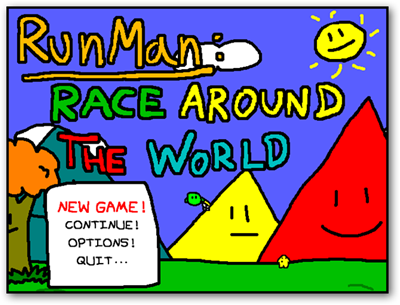 Out of all the games I played, Runman was probably the most purely fun. 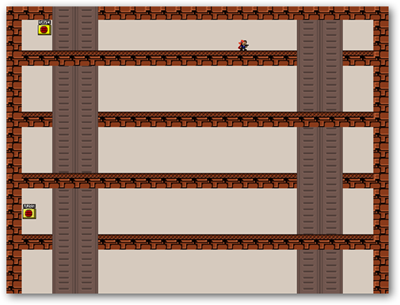 It’s a platformer where you can’t die, you only lose points. The concept is pretty fun by itself, but what makes the game special is its cheerfulness. Runman is drawn in intentionally terrible squiggles that look like somebody unleashed a three-year-old in MS Paint. The music is some guy singing hilariously awful songs on a banjo. It’s just a happy game. I had a smile on my face the entire time I was playing Runman. Highly recommended. Download from the developer’s website. I’ve played my fair share of hard games. I beat N+, Resident Evil 4, and Mass Effect on Insanity. It is with that qualification that I can safely say I Wanna Be The Guy is the hardest game I have ever had the misfortune to play. Classic platformers of the ’90s like Ninja Gaiden were known for their punishing difficulty. IWBTG is a “sardonic love letter” to those games by taking their already ridiculous difficulty to utterly insane levels. If you play this game, you will die. A lot. The game is “played” by slowly advancing forward and falling into all the traps, which you learn to avoid by trial and error. The obnoxious music and huge blood splatters make things only worse. Play this game only if you want a challenge or feel like your life is lacking in frustration. This game is pretty cool. Originally a Japanese freeware game, it was translated into English where it gained a large cult following. There were enough fans that eventually Cave Story got released on WiiWare and the new 3DS. The original PC title is still free, and it’s an excellent throwback to the classics of the SNES. You explore a large 2D world on a suitably epic quest. If you grew up on Earthbound and Chrono Trigger, you’ll probably enjoy this. Free to download from the developer’s website. Be sure to get the English translation pack. Any good fan of strategy games knows and reveres the name of Civilization. One of the great pillars of PC gaming, the Civilization games are known for their strategic depth and pure addictiveness. FreeCiv is a freeware remake of the original Civilization I. While the interface and graphics definitely show their age, the core gameplay of leading a nation into war and peace as its president is still fun in 2011, over a decade since the official release of Civ I. If you can get past the awkward interface, FreeCiv is a fantastic way to experience one of the best strategy franchises ever made for free.